inclusive agribusiness models for Africa. This year’s event will consist of plenary sessions, break-out sessions, B2B meetings, the Africa Food Prize and informal networking opportunities. The “Seize the Moment” campaign is expected to bring a world-wide call to action from the United States Agency for International Development (USAID), energized by President Obama’s Global Food Security initiative the largest development commitment from the administration and one that is aligned closely with the African Union’s agriculture agenda. In addition, both the Rockefeller Foundation and the Bill & Melinda Gates Foundation are expected to endorse the campaign and continue their strong backing of efforts to boost production and income for smallholder farmers and local agriculture businesses. 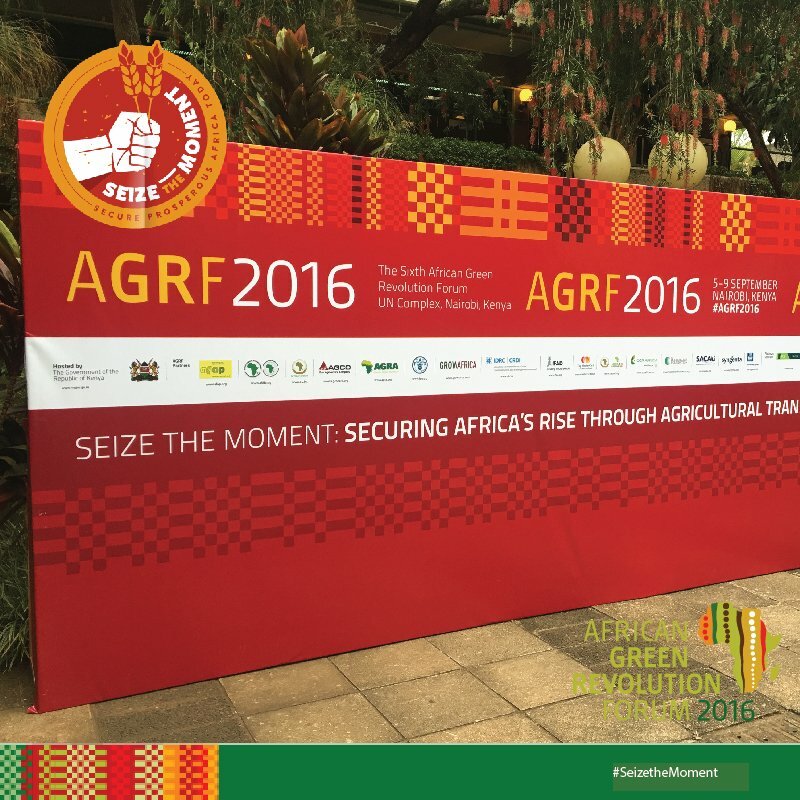 Ten years ago, funding from the two organizations launched the Nairobi-based Alliance for a Green Revolution in Africa (AGRA). Today, they continue to work closely with AGRA, which has developed an extensive network of partners in the public and private sector across 18 countries. Principle strategic AGRF partners include AGRA, the Rockefeller Foundation, Grow Africa, African Development Bank, OCP, AGCO, IFAD, African Fertilizer and Agribusiness Partnership (AFAP), Syngenta, International Development Research Centre (IDRC), YARA, Southern African Confederation of Agricultural Unions (SACAU), the Africa Union and NEPAD Planning and Coordinating Agency. 5 September. Science And Innovation to Transform African Agriculture — IDRC. 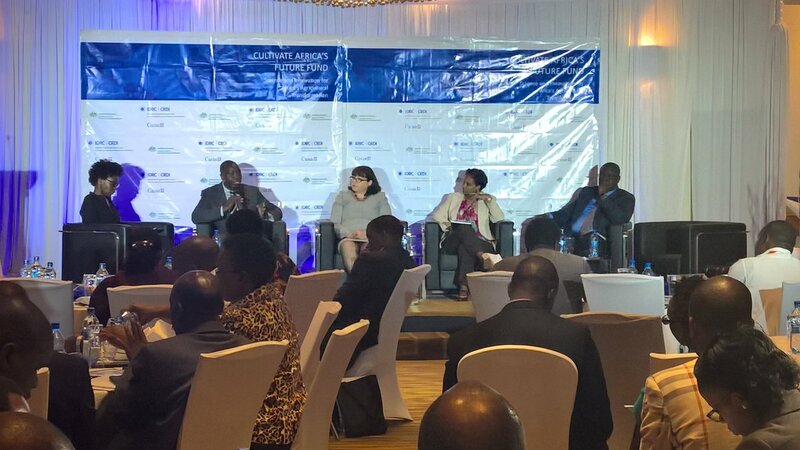 IDRC and ACIAR organised a AGRF2016 side event at Nairobi Intercontinental hotel to present the CultiAF projects. 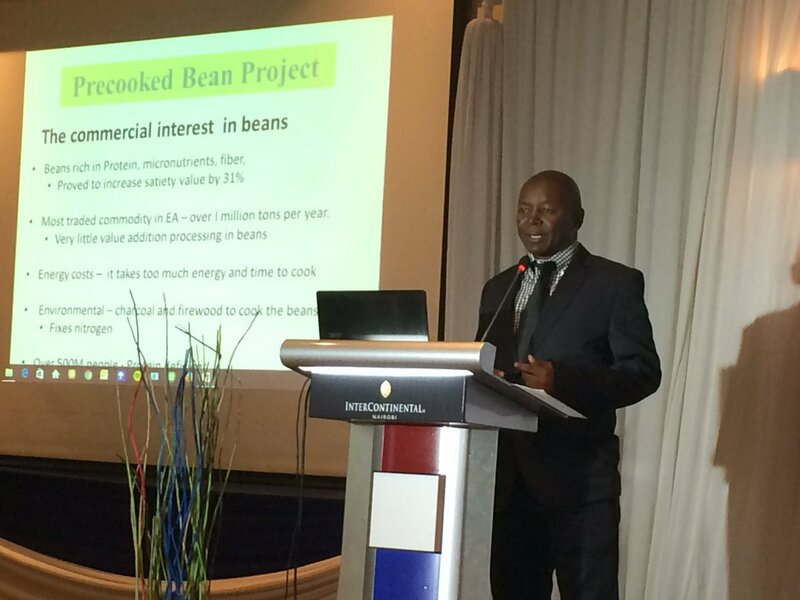 One of the CultiAF projects brings affordable pre-cooked beans to east African markets. The USD $2.5 million project is led by Kenya Agricultural and Livestock Research Organization (KALRO) and Uganda’s National Research Organization (NARO). It brings together researchers, farmers and manufacturers to develop products that will offer an alternative to canned and chilled beans currently available in the market but are unaffordable to a majority of the consumers. The project tested models for increasing the production and supply of bean varieties suitable for processing into pre-cooked beans, assess demand, test promotion mechanisms and promote consumption of precooked beans for different consumer groups. The project is using nutritious, better tasting, and attractive colour beans varieties developed by International Centre for Tropical Agriculture (CIAT). “What we now want to do is to add value to these varieties by processing so as to take less time to cook and fit into the lifestyle of both the increasing urban and peri-urban populations” said Jean Claude Rubyogo, a seed system specialist at CIAT. A number of farmers groups and processing farms provideed expertise in processing and support in the pre-cooked bean products value chain. Another project is the Australia Africa Plant Biosecurity Partnership. This is a plant biosecurity capacity development program using Australian expertise to strengthen biosecurity skills and planning in Africa. It supports increased production, market access for African farmers and improved food security. The project is the result of representations from African stakeholders to the Australian Government who noted that the world-class strength and experience of Australian biosecurity agencies could assist to strengthen African plant biosecurity capacity. Countries involved include Burundi, Ethiopia, Kenya, Malawi, Mozambique, Rwanda, Uganda, Tanzania, Zambia and Zimbabwe. The AAPBP is led by PBCRC and funded by the Australian International Food Security Research Centre (AIFSRC) within ACIAR (the Australian Centre for International Agricultural Research). Over the life of the project a total of $1.6 million will be invested, $0.8 million from ACIAR plus an additional $0.8 million from the Australian Department of Foreign Affairs. The program is being delivered by a consortium of PBCRC, the Crawford Fund and CAB International. 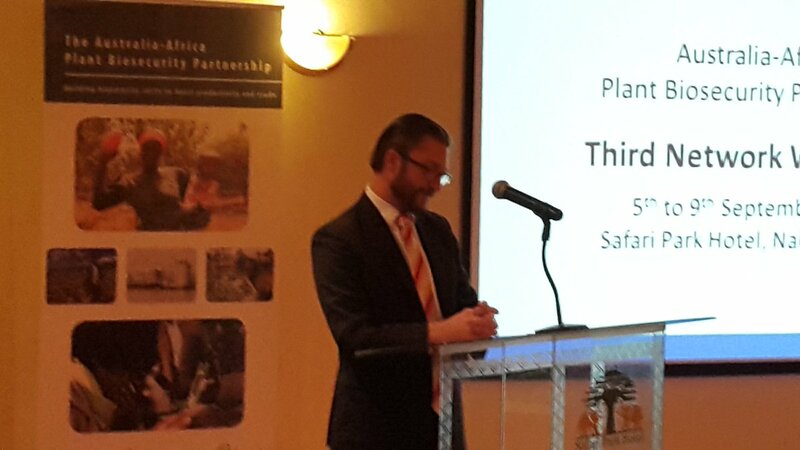 The AAPBP aims to leverage support from other international agencies and to complement other work underway on plant biosecurity issues in Africa. The International Development Research Center (IDRC) in partnership with the Alliance for a Green Revolution in Africa (AGRA) is also supporting the scale up the adoption of post-harvest management innovations for grain legumes in Africa. Both organizations believe that reducing post-harvest losses, increasing the quality of produce and improving access to agricultural markets are key to sustaining the productivity-driven transformation of the agricultural sector. Researchers will identify how post-harvest technologies can alleviate women’s workloads and contribute positively to their livelihoods. The project will use business models that ensure long-term economic, environmental, and social sustainability. It will also leverage partnerships between the public and private sectors, farmers’ organizations, and other social entrepreneurs. By the end of 36 months, the project will reach 7,000 smallholder farmers. It also has the potential to benefit an additional 60,000 farmers by 2020. It will engage 60 youth as service providers and increase incomes through farmer-market linkages. 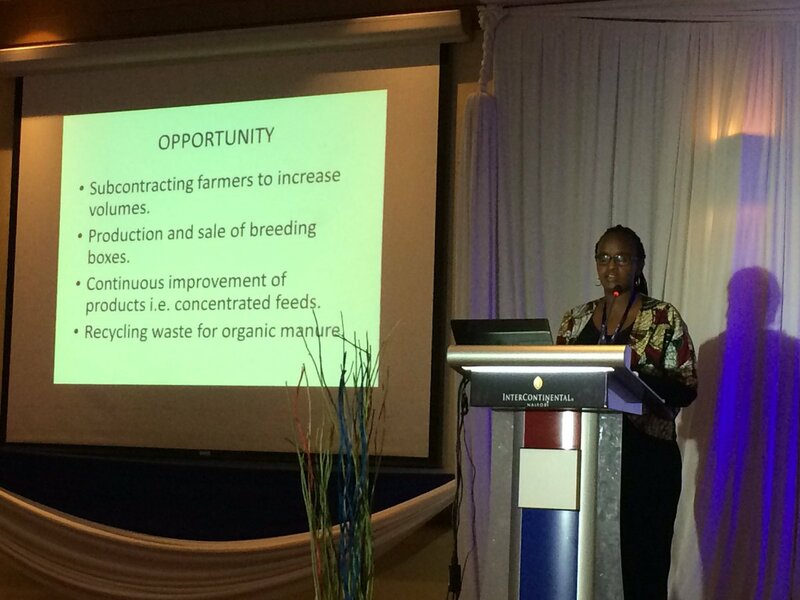 These innovations are expected to reduce post-harvest losses from the current 30% to 10% for the two crops. The research team will share evidence and lessons from the scaling up efforts to improve implementation in the field, and inform policy change and investment. 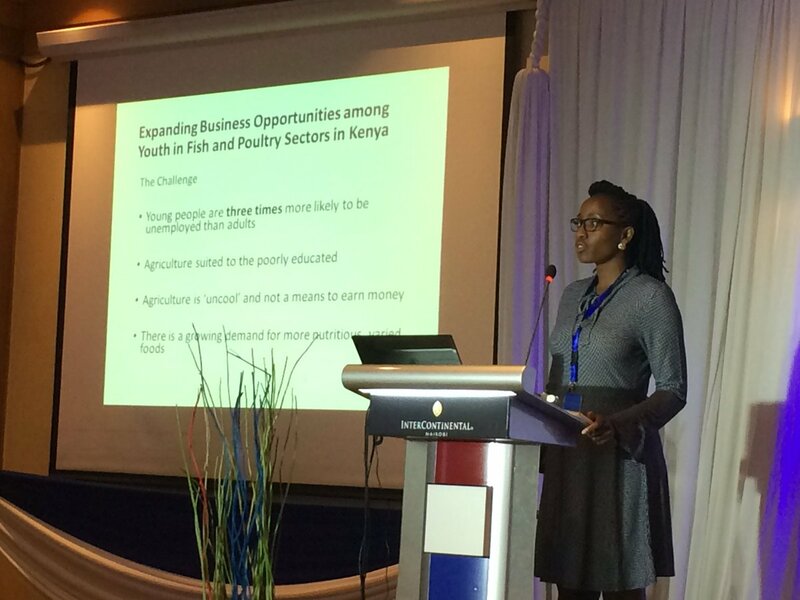 Youth in the Fish and Poultry Sectors in Kenya. Project participants work with research teams in an ongoing project that is developing insect feeds for fish and poultry. Youth learn to develop and implement innovative business models for insect, poultry, and fish rearing, and poultry and fish feeds. The project team selected and trained aspiring agri-food entrepreneurs with business ideas that have the potential to grow and succeed. The lessons will be relevant to other agriculture and food security projects, especially those that aim to work with youth entrepreneurs. 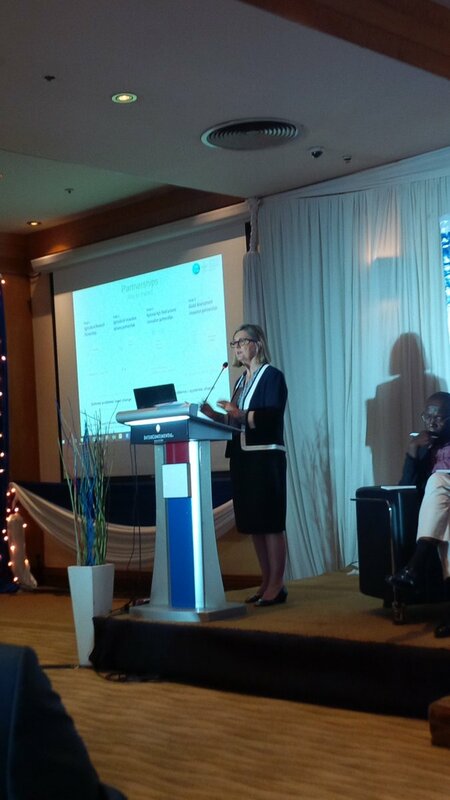 The project brings together the United States International University-Africa based in Kenya, Michigan State University, Van Hall Larenstein University of Applied Sciences in the Netherlands, and Licence to Grow, a private company, to test and promote an entrepreneurship development model that combines training, business innovation, and action research. Fishing communities are working alongside researchers in Malawi and Zambia to evaluate post-harvest fish processing practices to improve their effectiveness, reduce losses, and promote greater equity among the men and women who work in the fisheries sector. Working with fishing communities in Barotse and Lake Chilwa, and other partners, the project is analyzing fish value chains, including the differing roles of men and women, to understand how losses occur in fish volume, nutrient content, and economic value. The research team developed and piloted interventions to reduce these losses, while also addressing issues connected to gender and power. 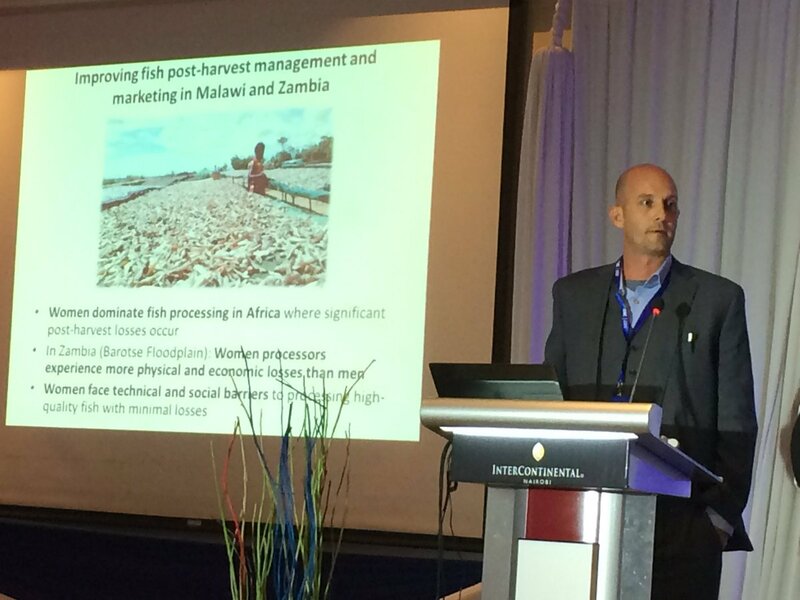 These interventions include improved processing methods, such as paraboiling, solar drying, and kilning. Gender training and behaviour change communication activities will address the gender and social relations in the fisheries value chain. Working with policymakers, the team aims to increase recognition of the importance of fish production and gender equality in national and regional policies. 6 September. 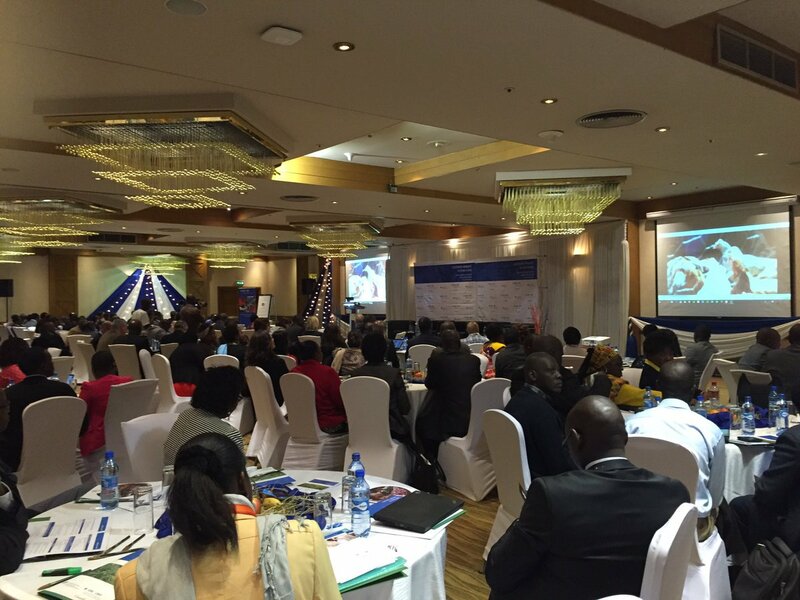 Launch of the African Agriculture Status Report (AASR). AASR 2016 offers a detailed analysis of a decade-long agriculture expansion effort that has been the most successful development initiative in African history. The report also offers a frank assessment of the challenges that lie ahead and recommends strategies for overcoming them. Debate: Toward Agricultural Transformation In Africa. Moderator: Mr. Jeff Koinange, Award Winning Kenyan TV Personality. Why Or How Does This Report Contribute To Africa’s Agricultural Transformation? What Drives And Enables Yields And Adoption Of Technologies For Transformation? How Does Agricultural Transformation Impact – Income, Poverty Reduction, Food Nutrition Security And Resilience? Why Are Evidence-Based Mechanisms Important For Transformation? 7 September. 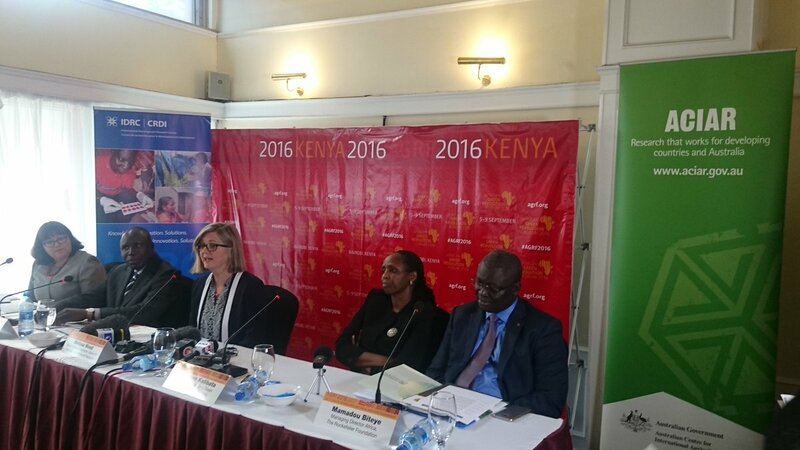 Another groundbreaking moment at the AGRF will be the inaugural award of the newly-created Africa Food Prize. The accolade calls attention to individuals and institutions that are inspiring and driving agricultural innovation throughout Africa. The Africa Food Prize Committee is chaired by H.E. Olusegun Obasanjo, former President of Nigeria.